NEW YORK (AP) — Health officials have confirmed a second U.S. case of a mysterious virus that has sickened hundreds in the Middle East. The latest case is not an American – he is a resident of Saudi Arabia, visiting Florida, who is now in an Orlando hospital. Middle East Respiratory Syndrome (MERS) is viral respiratory illness first reported in Saudi Arabia in 2012. It is caused by a coronavirus called MERS-CoV. Most people who have been confirmed to have MERS-CoV infection developed severe acute respiratory illness. They had fever, cough, and shortness of breath. More than 30% of these people died. 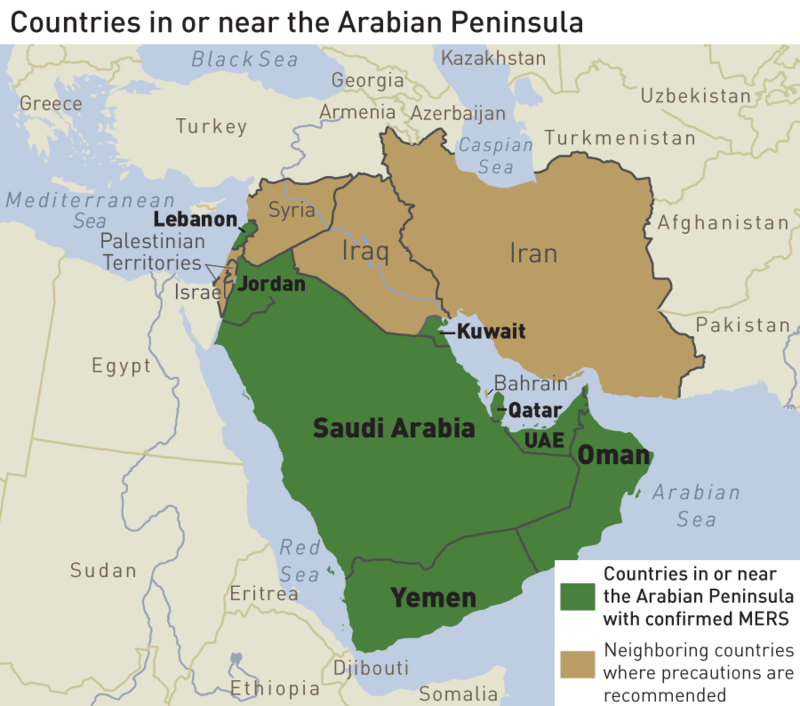 So far, all the cases have been linked to countries in the Arabian Peninsula. This virus has spread from ill people to others through close contact, such as caring for or living with an infected person. However, there is no evidence of sustained spreading in community settings. On May 2, 2014, the first U.S. case of MERS was confirmed in a traveler from Saudi Arabia to the U.S. The traveler is considered to be fully recovered and has been released from the hospital. Public health officials have contacted healthcare workers, family members, and travelers who had close contact with the patient. At this time, none of these contacts has had evidence of being infected with MERS-CoV. On May 11, 2014, a second U.S. imported case of MERS was confirmed in a traveler who also came to the U.S. from Saudi Arabia. This patient is currently hospitalized and doing well. People who had close contact with this patient are being contacted. The two U.S. cases are not linked. CDC and other public health partners continue to investigate and respond to the changing situation to prevent the spread of MERS-CoV in the U.S. These two cases of MERS imported to the U.S. represent a very low risk to the general public in this country. CDC continues to closely monitor the MERS situation globally and work with partners to better understand the risks of this virus, including the source, how it spreads, and how infections might be prevented. CDC recognizes the potential for MERS-CoV to spread further and cause more cases globally and in the U.S. We have provided information for travelers and are working with health departments, hospitals, and other partners to prepare for this. For information about the virus, how it spreads, symptoms, prevention tips, and what CDC is doing, see Frequently Asked Questions & Answers.